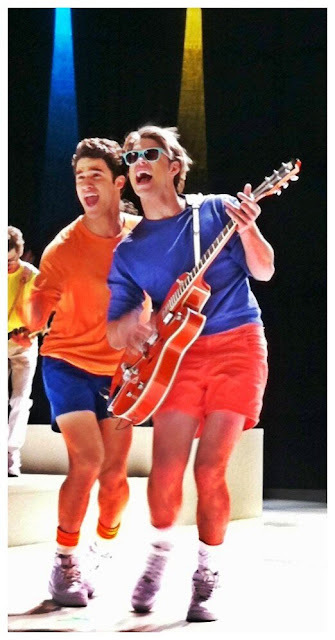 Darren Criss and Chord Overestreet Does Wham! Glee's Ryan Murphy tweeted a photo of Darren Criss and Chord Overstreet decked out in colourful gear. 'The New Wham!' he tweeted. There’s no official confirmation which Wham! hit Glee will cover for that episode. I just have one thing to say...nice legs boys!! !